On this page you can view/print list of appointments for selected date or time period. 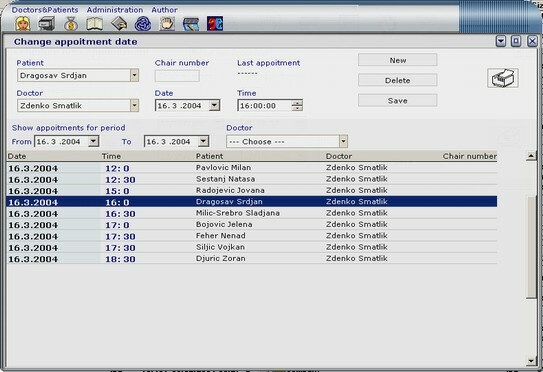 � On this form you can see last appointment for selected patient. � You can print all apoitments from list, just click on 'Print' button.